Les Inrockuptibles is pure entertainment news, and whether it is the French based cinema or perhaps the more popular US bands or movies, the fact is that the magazine covers it. 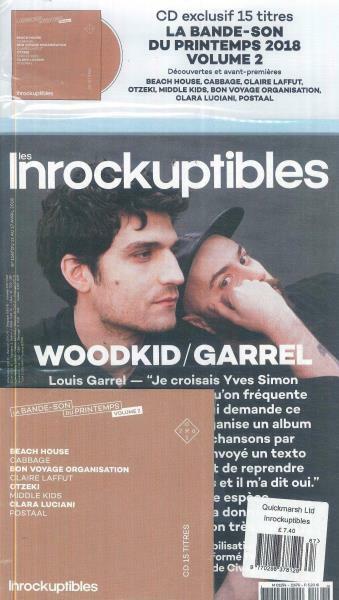 Buy a single copy or subscription to Les Inrockuptibles magazine. The magazine practically started with news and article features of popular rock bands in the music industry. Eventually, it evolved to include news items about all other artists in the music industry. In fact, it not only covers popular music scenes today, it also includes the now popular movies. The best thing about Les Inrockuptibles is its diversity to the entertainment news it covers. In fact, it acts to involve society to the news features it covers. If you happen to be quite a fanatic to the entertainment world and what people are talking about, you just might happen to want to get the Les Inrockuptibles on hand for the juiciest details and news. While it has been stated to have some left wing coverage to their entertainment news items and have been considered to be quite snobbish, there is no denying the fact that it remains to be one of the best in the industry. It has certainly influenced the popularity of some rock bands and music performers such as the House of Love and the Smiths. Good for practising French, interesting features.